Shirzad is the author of the New York Times bestselling Positive Intelligence and lectures on this research at Stanford University. His Saboteur Assessment has been researched with 300,000 participants and used in most major global corporations and many coaches. In his current venture, Shirzad has spent 3 years to develop a groundbreaking App that combines gamification, neuroscience, positive psychology and performance science to establish lifechanging new habits of the mind. 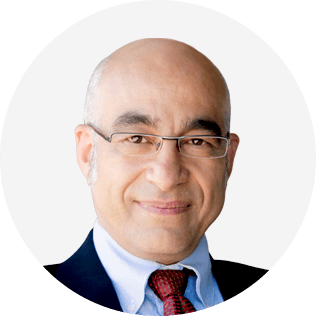 Shirzad has been CEO of CTI (Coaches Training Institute) and trained faculty at Stanford and Yale business schools. A preeminent C-suite advisor, Shirzad has coached hundreds of CEOs and their executive teams. His background includes PhD studies in neuroscience in addition to a BA in psychology, an MS in electrical engineering, and an MBA from Stanford. Shirzad’s New York Times bestselling book Positive Intelligence offers a breakthrough Saboteur Assessment framework based on research with 300,000 people from more than 50 countries. Thousands of coaches use this free online assessment to quickly focus their client work on areas that would deliver lifechanging benefits immediately, often within the very first session. The assessment takes less than 5 minutes to produce a bar chart representing the relative strengths of 10 Saboteurs: Judge, Controller, Victim, Stickler, Avoider, Restless, Pleaser, Hyper-Vigilant, Hyper-Rational, and Hyper-Achiever. The Saboteur descriptions illuminate each Saboteur’s lies, limiting beliefs, negative emotions, and devastating impact on our happiness, relationships, performance and effectiveness. In this engaging WBECS session you will learn how to use the free Saboteur Assessment to either attract new clients, or deliver lifechanging value to existing clients within just one session.